THAT the world is thinking actively about the concept of Universal Basic Income (UBI) in a bid to combat poverty is one thing, the Indian version of the idea, as reflected in the campaign promise by the Congress party is nothing but a populist bane that would tear the economic fabric asunder in no time. With an additional burden of subsidy worth Rs. 3.6 lakh crore, the national economy will never be able to support such an idea. Yet, in a bid to return to power somehow, the Congress party has talked of a UBI programme by way of which it would give to 25% of the poorest of poor people a sum of Rs. 6,000/- per month (amounting to Rs. 72,000/- per year). However, going by the reality on the ground, this effort may produce some votes for the party, but will not act as a strong antidote to poverty. For, poverty is not just an economic issue -- at least in India -- but also a socio-political problem. That was the reason a strong leader like Prime Minister Mrs. Indira Gandhi tried in vain to push the Garibi Hatao programme. Her failure underlined the hollowness of the very concept. The Congress party’s current election promise is more likely to meet such a fate than not with the economy having no money to fund such outlandish ideas. Garibi Hatao was expected to be a game-changer for the task of improving the lot of the poor sections of the population. That goal was hardly reached for the simple but stark reason that Mrs. Gandhi was interested in using the slogan as an electoral gimmick than a well thought-out programme of poverty alleviation based on sound economic principles. The Congress party’s NYAY scheme also falls in that category -- meant only to fetch more votes and not actually meant to serve the cause of eradication of poverty. The biggest hurdle in any poverty alleviation programme is political in nature. It has been a general experience that the idea of Universal Basic Income to the poor has not succeeded anywhere because it has often been used as a vote-catching device and not as an economic programme. Poverty per se needs to be tackled on the basis of a plan that would help the poor people work for not just wages or wait for doles so that no money is pumped into the system on a fake collateral. If the beneficiaries of UBI do not get an opportunity to earn real money and generate surplus and add value to the overall economic process, all electoral promises would go waste. With no matching money in the back up, how can a Government fulfill such impossible promises? This is the real issue that needs a serious thinking which the Congress appears unwilling to do. It is time India thought of poverty alleviation as a national programme delinked from votebank politics. The political community will have to give up its fake ideas in this regard and think very seriously about designing a sound economic programme that will not pump money into the poor people’s accounts without any contribution to the process from their side. It is against this background that the caution issued by American agency Merrill Lynch assumes great significance. All economic theorists have often insisted upon rejecting populism in economy. The concept of Universal Basic Income, therefore, has to be considered on the strength of a proper financial back up and not as a political slogan. What the Congress party is doing is exactly the opposite -- using the concept as a electoral slogan rather than as a serious outcome of a genuine concern for the poor. 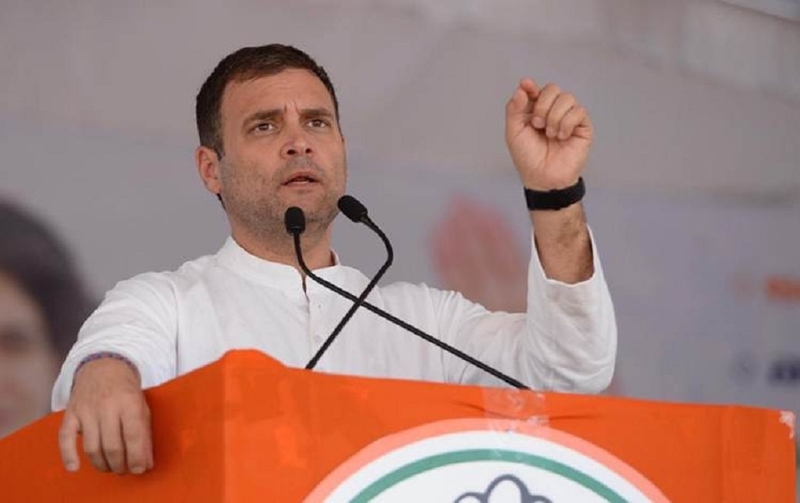 Whatever may happen in the election, if NYAY scheme is implemented in full measure, it will spell a massive economic disaster for the country. Nobody will be a gainer, the poor included. The Congress party will not look back now as it has already included the NYAY in its election manifesto. Yet, it is necessary to assert at this stage that time has come for the voters not to fall prey to disastrous promises.